I am so excited for this giveaway!! Why, you ask?? 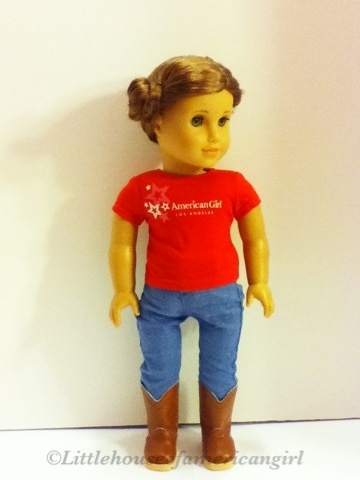 Because I’m giving away American Girl Products!! YAY! 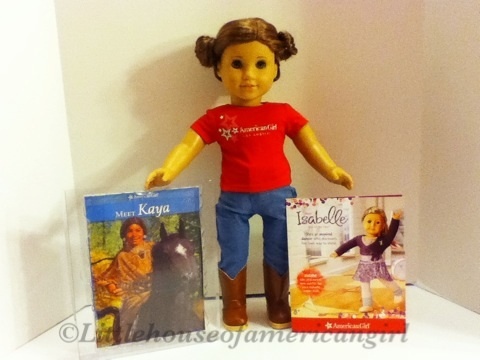 First prize will win the American Girl LA T-shirt, Meet Kaya Book (Brand New), and a fun Isabelle Paper Doll Set! 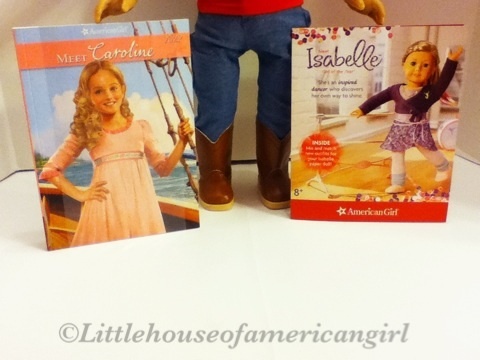 Second prize will win a Meet Caroline Book (Brand New) and an Isabelle Paper Doll Set! 1. First have a parent’s permission since I will need your home address (by email) to ship your prize to you if you win. 2. When you comment say that you would like enter. 3. Tell me how long you’ve been reading my blog. 5. Get an extra entry by sharing this giveaway on your blog/site (if you have one). If you share, please come back and leave a comment linking to me where you shared it. Also I can only ship to the U.S.A. The last day to enter to win is Sunday, March 30th at 12:00AM (midnight) PST. I will post the winner on Monday, March 31st. 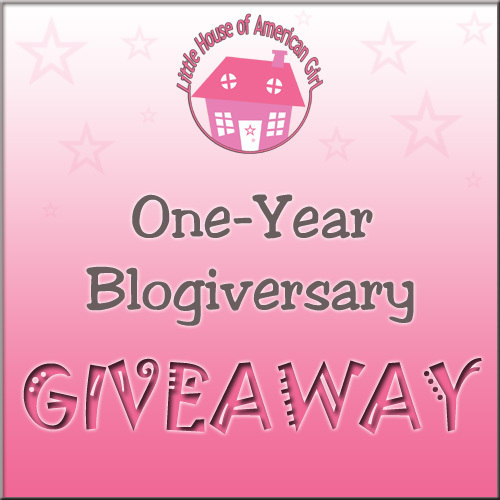 42 Responses to 1 Year Blogiversary Giveaway!! Happy Blogaversary!, I think the first year of blogging is when bloggers improve the most. I would like to enter. I have been reading your blog for maybe a couple of weeks, I found your blog when I was looking at other ag bloggers profile to see what other bloggers they follow so I can follow them and I found you! 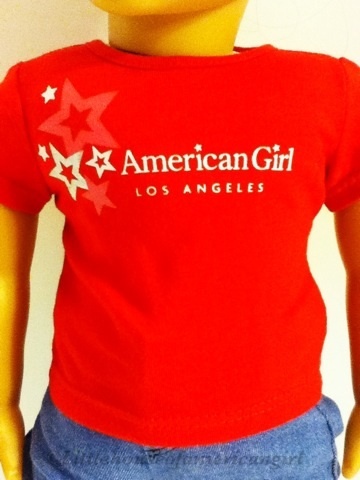 I think it would be fun to start a blog, maybe once the American girl dollhouse is started that I have been planning:). Oh, that is so cool!! I would love to enter!! I have a parent’s permission. I am not exactly sure how long I have been reading your blog, but maybe a couple months after you started it. Thanks for the giveaway! I would like to enter you give away! Congrats on your 1 year Blogiversary!! It feels good doesn’t it?? I like your blog and I have been reading your blog for about 2 months! I have my parents permission. I would like to enter. And I have my parent’s permission. Oh thank you SO much! I’ve been reading your blog since it started! But only commenting for about half a year. Thank you again!! Hey Jaclynn! I am going to post about your giveaway on my blog, and I was wondering if I could use a couple of your pictures for my post? Okay, here is the link to the post! LOL Meghan! You should totally look at her photostories! They’re awesome! I would love to enter. I’ve been reading since the beginning. I would like to enter. 🙂 First let me say HAPPY BLOGIVERSARY Jaclynn! I’ve been reading your blog for several months now, I believe. Probably since November or so. It has become one of my favorite blogs. Your creativity is incredible! New follower!congrats on your 1 year blogiversary! I’d like to enter. Thank you. should i tell my address on the comments or contacts…? or should i just comment that i entered? i do not understand. Honestly, I don’t know how long I’ve been reading your blog. 😀 Let’s see, I think I found yours when I found Liz’s, sooo maybe a year or so! Oh yay, a giveaway! I would like to enter, and I have been reading your blog “faithfully” since probably September of last year. I LOVE it! Hi! Congratulations! I would like to enter. I began reading your blog in November 2013! I found it on DollDiaries! Hi! I would like to enter, and have been reading your blog for a month now. Thanks! I’d love to enter! I’ve permission and I live in the US. I’ve been reading your blog for about a year now. Thanks for this great giveaway! Hi love love love your site so glad I have a chance to win!!! Thanks so so much for the chance! Forgot to say i’ve been reading over the last year!!! I’d like to enter. What a cool giveaway package! I’ve been reading your blog for about 10 months. I go on everyday and it’s a really cool blog! Thanks for this fun giveaway. I’d like to enter. I think I’ve been reading your blog for only 3 months. It’s an awesome blog!!! Hi! I really hope it’s not too late to enter! I would like to enter. I LOVEEEEE your blog!!! I’ve been reading your blog for about for months-ever since I discovered one of your comments on Doll Diaries. I thought that your name was creative and I just had to check it out! I’ve been hooked ever since! Your blog is so amazing and I love the fact that you are close to my age! I will definitely be emailing you with some questions this week!! !